Make a style statement in your space with the addition of one of the exquisite rugs found within the Kelly collection by Home Decorators. Hand hooked in 100% polypropylene, with a series of exquisitely designed patterns delicately placed atop a stunning, warm backdrop, these perfect pieces will effortlessly expel dazzling charm in any indoor or outdoor space. 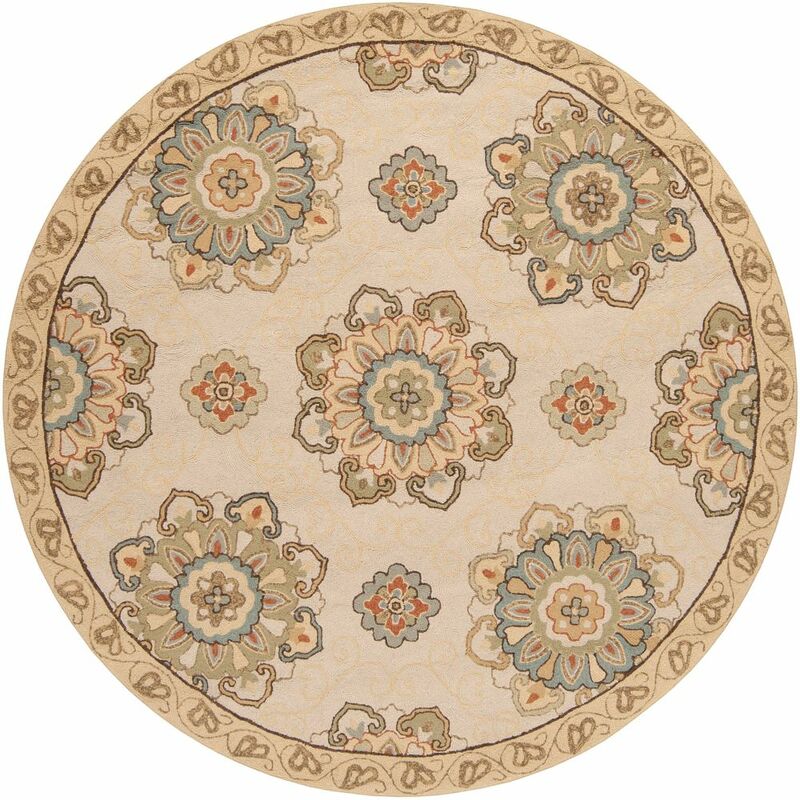 Kelly Gold 8 Feet x 8 Feet Round Indoor/Outdoor Area Rug Make a style statement in your space with the addition of one of the exquisite rugs found within the Kelly collection by Home Decorators. Hand hooked in 100% polypropylene, with a series of exquisitely designed patterns delicately placed atop a stunning, warm backdrop, these perfect pieces will effortlessly expel dazzling charm in any indoor or outdoor space.